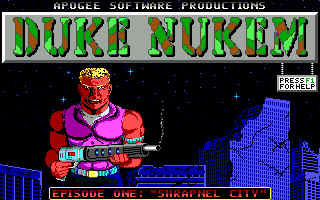 The original Duke Nukem game was the only one released before my time working for Apogee/3D Realms. It came out in the Summer of 1991, and was one of the games I had bought before I started working at Apogee. I had bought quite a few of the games Apogee released from 1990-1992, the original Duke Nukem being one of them. Was a fun side scroller, and while the tech of the time prevented what we know as the character of Duke from coming out, it was still a pretty fun game. Not a ton of personal memories on this one, because as I said, it was before my time. I just remember playing it as a customer. Wish I still had my old floppies from back then, but those were lost to time. 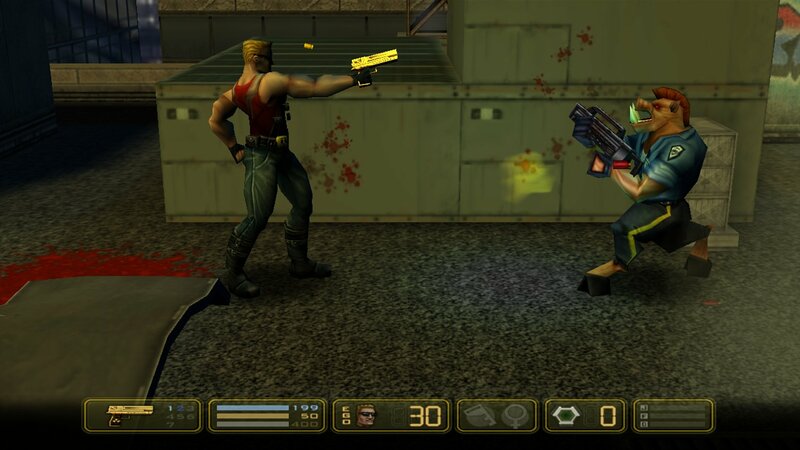 There is frequently a great deal of confusion over the correct spelling the game, Duke Nukem. 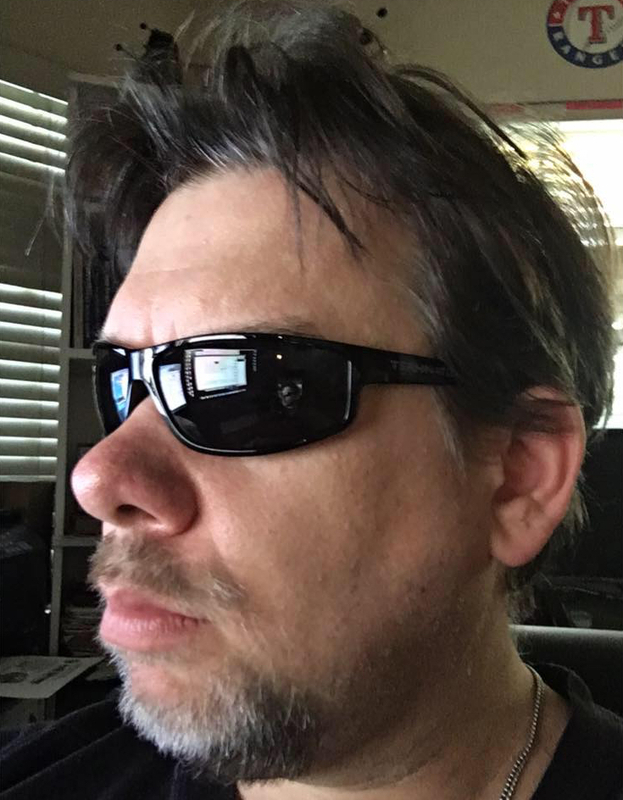 The original spelling for the name was “Duke Nukem”; however, during the code fix stage between v1.0 and v2.0 of the original game, we found a character overseas named “Duke Nukem” that was thought to be copyrighted. 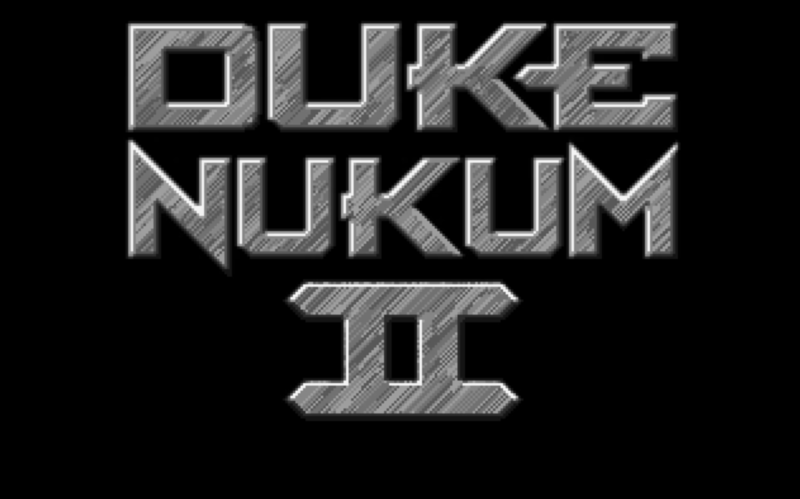 So, for v2.0 of the original Duke game, the name was changed to “Duke Nukum.” Then, during the programming of the next Duke Nukem game (Duke Nukem II), it was discovered that the character they found overseas was not copyrighted after all — and so the original name was reinstated. 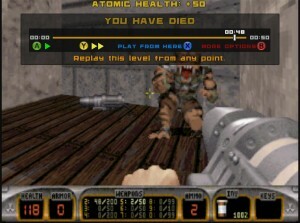 “Duke Nukem” is also the spelling used in all successive games that featured the character. Side Note: The spellings “Duke Nuke ’em,” “Duke Nuke’um,” “Duke Nuke’m,” “Duke Nuk’em” or other variations are not, and were never, correct. The correct spelling of the game is “Duke Nukem”. This game was in production when I started at Apogee in December of 1992. I remember being really excited about that, because Duke I was one of my favorite games at that point, so a sequel was pretty cool. I don’t have a ton of specific memories about the development, but I would have played levels in progress, and I just recall being excited you can shoot up and down – which was something you couldn’t do in the original game. Early on in the game’s development, we were still calling the original game “Duke Nukum”, and in the earliest days of the development of Duke II, we called it “Duke Nukum II”, in fact some of the ancient beta copies of the game still bear that out. Towards the end though I do recall rather vividly the conversation I had with Todd Replogle about doing the voice of Duke Nukem. 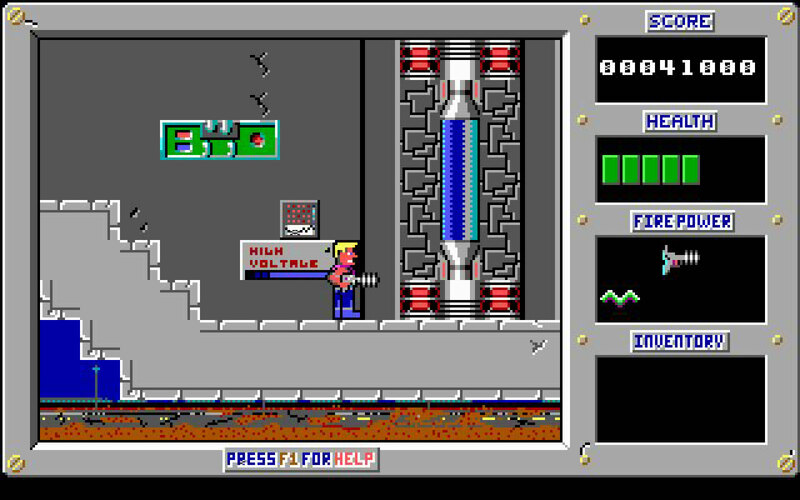 It’s an established fact that I was the original voice of Duke Nukem, even though I said just two words. I was one of the talking heads in a video series made in 2011 surrounding the launch of Duke Nukem Forever. I spoke about “I’m Back” a little there. If you never saw it, you can watch that here. I link specifically to the point on the video about me and the voice. Many years later when Interceptor re-released Duke II on iOS, I got to hear myself coming out of my own phone in a game, so that was pretty personally funny. I covered Duke Nukem II in length in another article elsewhere on this blog. It was for Duke II’s 20th Anniversary a couple of years ago. That’s still a good article, check that out too. 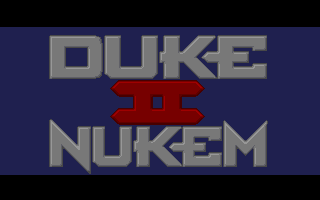 I always loved Duke Nukem II – it was the first Duke game released after I started working at Apogee. For that, it will always have a special place in my heart. 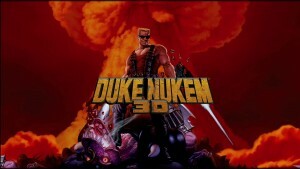 There’s going to be little I can add to the story of Duke Nukem 3D. One of the most beloved titles in PC gaming history. If you’re reading this article at all, then I’d wager you know about it. My personal involvement was play testing this game, and boy was it fun doing that. What I remember more than the levels and the work were the people on the game. From the earlier days with Todd, Alan, & Steve Tziese (sp!) to when we brought in Greg Malone, and especially Levelord. It was a great time. I also got married that year, so it was very eventful. Other than Rise of the Triad, this was probably the high point of my professional career. We were still not fully invested in doing thigs in retail at this point, so we handled our own direct orders for Duke3D’s full version ourselves. We had a metric TON of orders to the point that we were taking weeks to ship them all. I think that was the point we realized we had outgrown our old mail order roots as a company. But it was a fun communal thing shipping all those orders. We didn’t tag them or anything, so it was not possible to know who packed your order. But if you ordered from us, there was a good chance I packed one back in the day for you. I also remember recording the game for the demos that ran in the game. There’s a famous picture of about 10 of us all huddled around a computer watching the replay. That was a fun night – there was one time during that where we got three Dukes in multiplayer to stand on top of each other doing the can-can. I wish we still had that – was funny. From this game came a metric ton of ports to other systems, I’m not going to cover all of those, since they’re basically variants of the original game (even if some have addtl levels). Plus I had little to do with them – they were mostly done by others (like some of the phone games like “Duke Nukem Mobile: Bikini Project”). When I returned from getting married, we put out the final update to Duke3D from 3D Realms, the v1.5 patch. That was a hell of a fun year. After Duke Nukem 3D, we thought it would be cool to do another scroller type game like the first two Dukes. Not a direct 2D scroller, though, something more advanced. 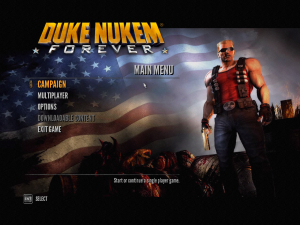 At first we tried a game called “Duke Nukem Forever”, it was a scroller game, and had nothing to do with the game that was known for that name. It wasn’t progressing, and was scrapped. 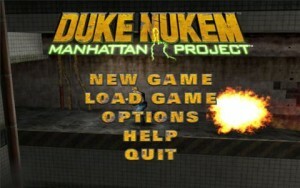 The idea for a scroller was restarted and eventually came out under Duke Nukem: Manhattan Project. I had little to do personally with the game – it was produced by a company named Sunstorm in Arizona, not in Texas. I was mostly involved as playtesting. Not much else. But had fun doing it. I loved the game. I still do. I thought it was a great mix of the old 2D scrollers, and the 3D game that came right before this. I was bummed when it wasn’t a big hit, because I thought it mixed both Duke worlds quite nicely. This was later released on Xbox LIVE for the Xbox 360, and on the Mac. Both of those versions happened after my time at the “old” 3D Realms, I wasn’t involved with those ports. I played it a bit this evening on my iMac, and it’s still a fun game. Always wished there would have been a sequel to this. If you’ve never checked it out, you should. I know this is technically a port of Duke Nukem 3D, but I was VERY involved in this one, so I wanted to say a few words about it. 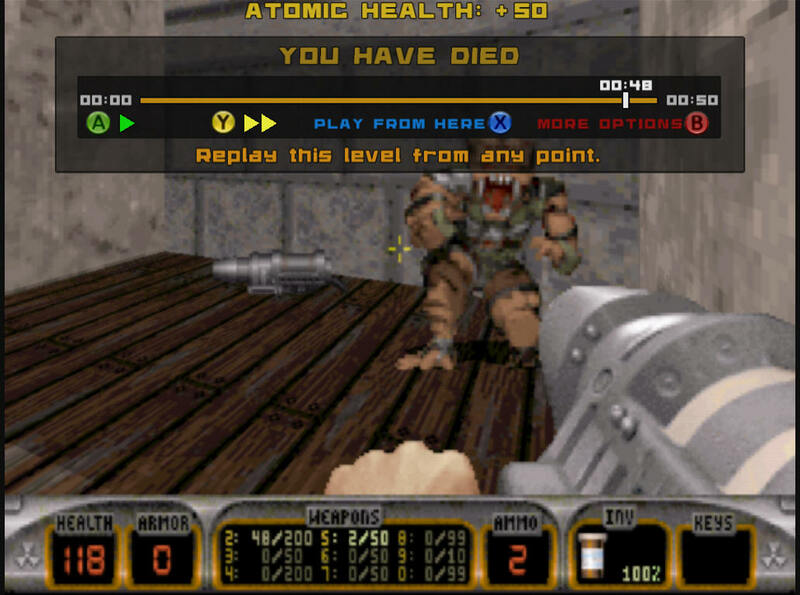 At it’s base it was just Duke Nukem 3D ported to Xbox LIVE arcade. I say “LIVE” vs Live, because I found out that Microsoft was very finicky about the usage of their name and terms. One time a game submission failed, and the reason given was that we spelled it “Xbox Live Arcade” vs “LIVE Arcade”. Yeesh. When we started this, the codebase was the v1.5 source code we still had from December 1996. It was expanded on, but that was the same game code at it’s core. In testing it, we found two map bugs that had to be corrected. Was kind of funny having Allen Blum break out Build from way back when to look things up. I even discovered a bug in the printed strategy guides that were in print for ages. Was involving a secret area in the “Area 51” level. Anyway, when we decided to do this, the bulk of the company was working on Duke Nukem Forever, so it was a small core team of us that worked on the XBLA port of Duke3D. Was George producing, we had Jay Brushwood doing some little new bits of art, had John Pollard & Pete Knepley programming the thing, and myself and Bryan Turner handling almost all the testing. We had Xbox devkits in our offices, and we played the everloving hell out of this title. In fact, I got so good at the game, that I was able to speedrun through the game from 1-1 through the final level of Episode IV in like under 20 minutes. I used to do co-op games with like 3 other people on XBL when it came out, and basically just ran through the game. That would get THEM the achievements for playing the game too – helped out a lot of people that way. When it came out, George Broussard said “Nobody in the world knows this game better than you do right now”. In fact, I found out that with a devkit Xbox 360 on your network, you can use another PC to take screengrabs from it. So that’s what I did to produce a walkthrough for Duke Nukem 3D. I had a LOT of fun with that. Probably too much. Some people wondered how I could play the game so well with an Xbox controller. When you do it for 8-10 hours a day for four months, it’s not that difficult. This was one of my Top 5 favorite projects in all my time at Apogee/3D Realms. Really loved this project – shame it was my final one there. 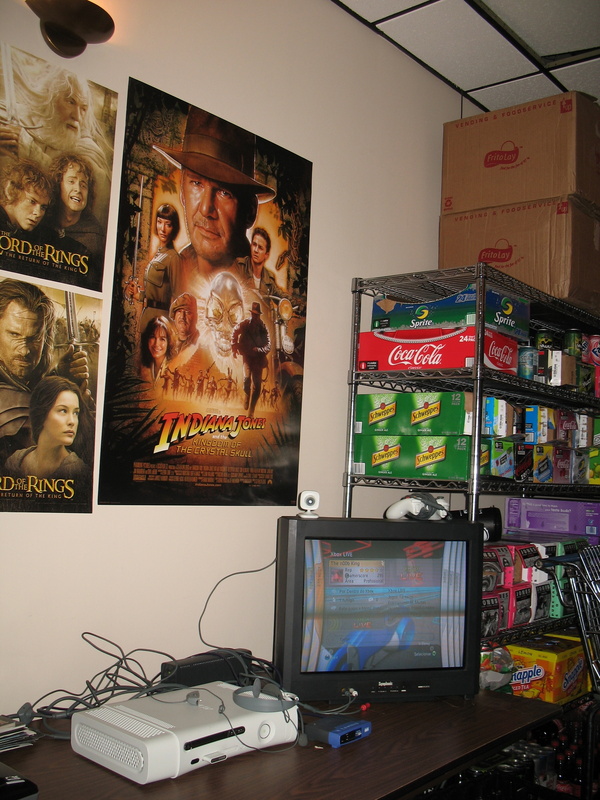 My testing area for Duke3D XBLA. The story of Duke Nukem Forever could take up several novel length books. I’m not going to write anything juicy about it here. I’m not here to write about the politics of it. In fact, I’m not going to say much. Just to say that I saw every iteration, and every person that came through 3D Realms working on it over all the years it took to finally come out. I stand by what I said in the Duke Nukem History video above where I said it was a hell of a lot of fun. I still think that. Was it perfect? No, but what is? I still think it’s an underrated game, but I know its reputation in the gaming world. Y’all know what happened in May of 2009 – my version of 3D Realms closed down, and the game went on through Triptych, Gearbox, and came out in 2011. In fact, I worked with Gearbox a bit in 2010 & 2011 surrounding the release of Duke Nukem Forever. Did some community work, helped them out with the history of the project. More testing. Given my unemployment at the time, it was a nice thing to have in my back pocket. Plus it allowed me to say “Goodbye” to my old game industry career on my own terms, as opposed to having it pulled out from under me in 2009. 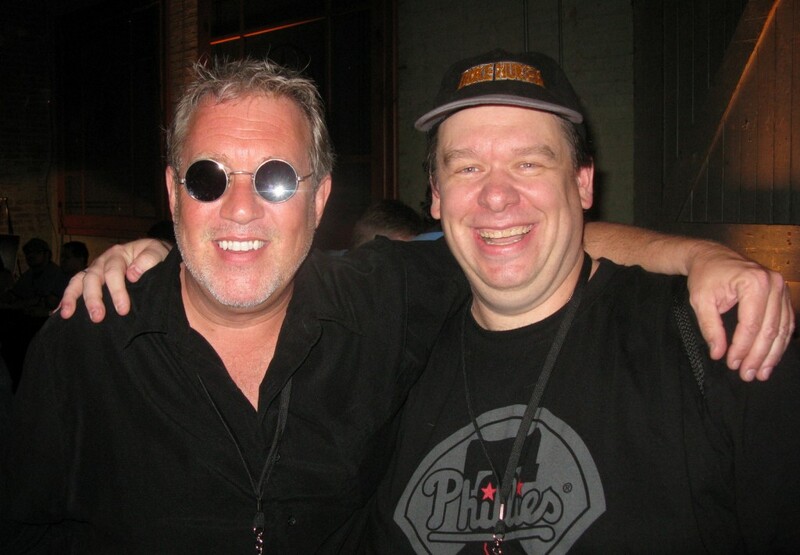 I wrote in detail about that back in 2011, you can read that story (“Goodbye Duke Nukem“) elsewhere on this blog. I really don’t know. I keep hoping we’ll get another Duke game, and a good one. The character deserves it. Gamers deserve it. Someday Duke will come back, and I’ll be there playing it. 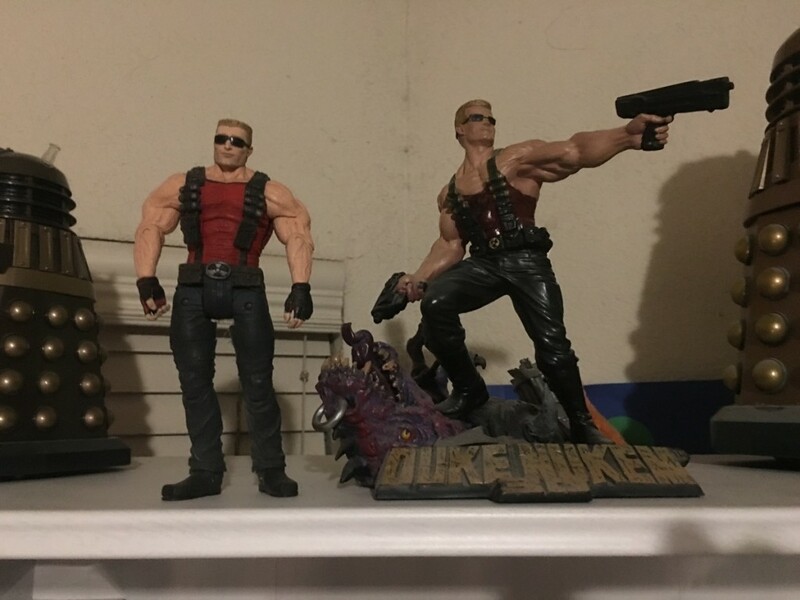 Have always loved Duke Nukem, from before my time with Apogee, and past my time with it. Until we see another Duke game, I’ll just leave it with this.. Happy Trails Duke – hope to see you down the path again somewhere. Thanks for sharing. What a fun read.